At Partridge Events we are feeling so inspired by the amazing new Materials available in 2019, especially after our visit to the VM show at the Business Design Centre in London. 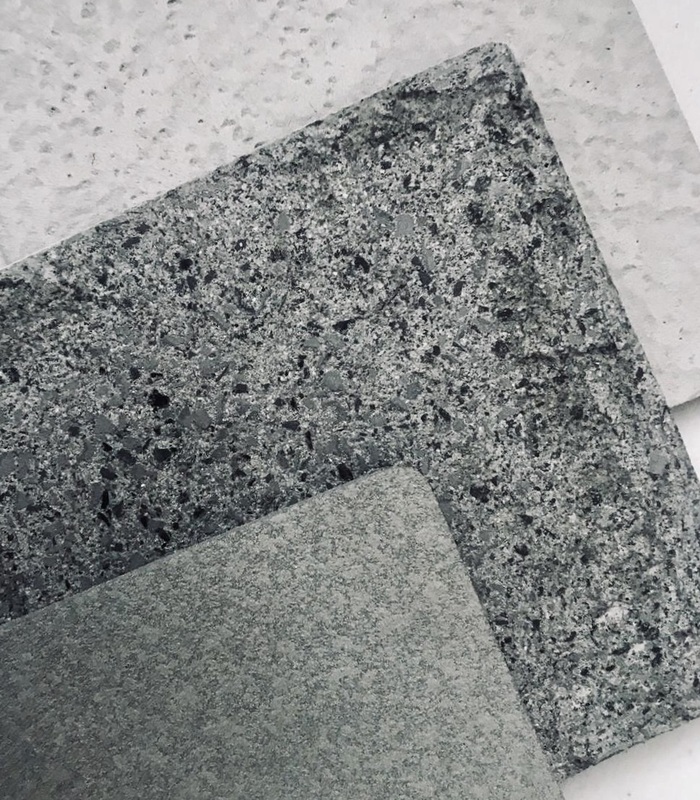 Technology and design are offering so many fantastic alternatives at the moment and we wanted to show our lowdown of some of our favourite trends and developments in materials at the moment. The concrete trend is not slowing down at the moment, the fresh, industrial feel can be polished and smooth or left rough and leave a surprisingly luxurious modern feel. For Wines of Germany we had the brief to create a fresh contemporary feel using concrete that also needed to be completely flat pack set up that was easy to install and store, the amazing thing about this concrete is it is actually only a few millimetres thick and covering ply, it really gives a wow effect. 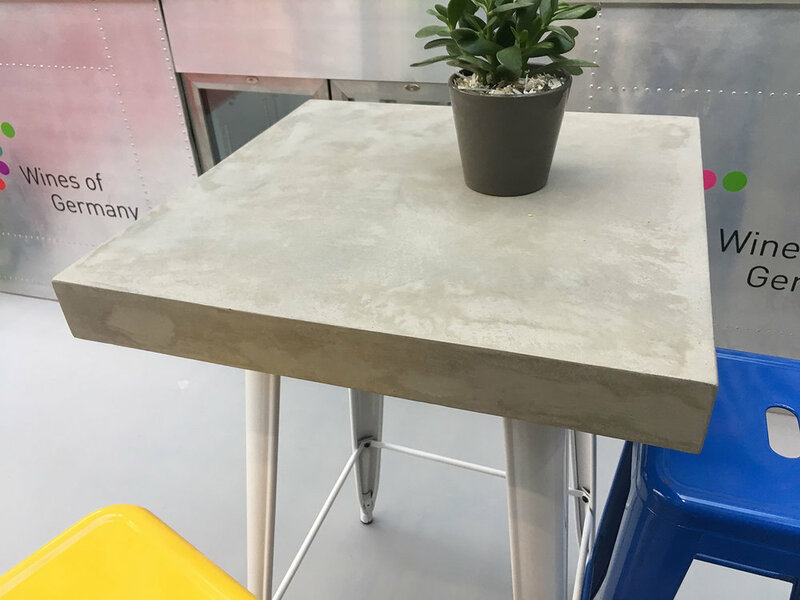 Another supplier we discovered at the VM show yesterday is a company called we spray everything, in contrast to Conscious forms silky smooth concrete finishes, provide a a rough effect that as the name says can be sprayed onto anything! - this is a fast a great to turn anything to stone, It can even be painted onto metals, creating a magnetic surface! Microtop concrete table by Conscious Forms - Partridge Events commissioned this for Wines of Germany. This Microtop concrete is strong enough to use for flooring yet also totally hygienic and suitable for the food and drinks industry. Stone and concrete effects we spotted at the Visual Marketing show yesterday. 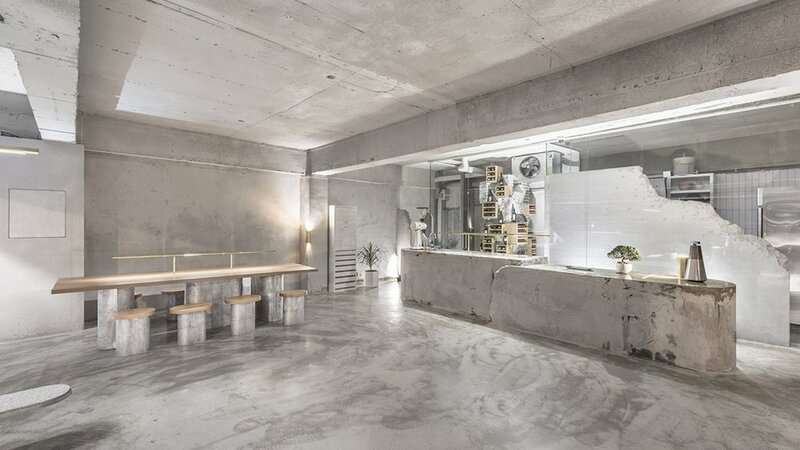 We are absolutely in love with the raw, crisp and fresh interior of Et Cetera Cafe in Seoul with interior design by Jeonghwa Seo. have a further look here..
At the VM show we were amazed by this light up paint seen on We Spray Anything’s stand. The possibilities do seem endless here… We really want to work on a project using this stuff so please do get in touch if you have something in mind! Obviously we were in love with Bristol paints Glitter range.. 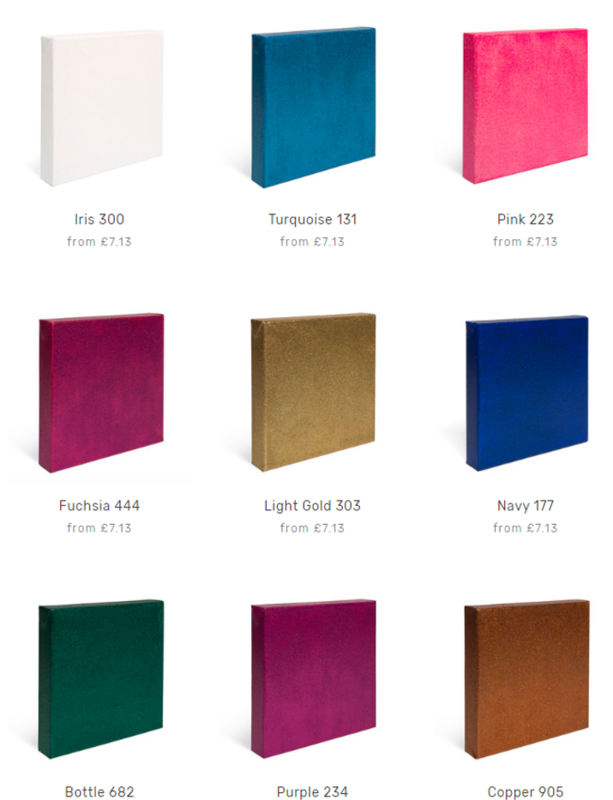 The sparkliest we have ever seen.. We have always relied on Bristol paints unique high pigment waterbased paints, which are much more economical than the rest!